IT’S 23 JUNE and USA 94 is nearly a week old. If you happened to miss the Italy versus Norway match and, as one did in those days, checked Ceefax to see the headline ‘Baggio heads winner’, you might reasonably have assumed that Roberto Baggio had saved Italy from a surprising early exit from the World Cup. Italy’s talisman and creator-in-chief was the planet’s finest player, having won the Ballon d’Or the previous December and scored 17 league goals for Juventus in the season before the tournament. Ray Houghton’s winner for the Republic of Ireland in the opening match of Group E meant Arrigo Sacchi’s team had no alternative but to win their second game against the dull but resolute Norway. In the 68th minute, Italy, who had been reduced to 10 men earlier in the match, were awarded a free-kick on the left-hand side of the pitch. Beppe Signori, with his pint-sized left foot, whipped a glorious ball into the box and onto the head of the onrushing Baggio. He guided the ball past Erik Thorstvedt to give Italy the lead and eventually the victory. Yet it wasn’t the ponytailed genius who took the headlines this time. It was the other Baggio; the unheralded yet gifted central midfielder, Dino. Search for Dino Baggio in Google and one of the results that crops up is “Dino Baggio, Roberto Baggio’s brother”. Mention the name Baggio to most football fans and Dino will not be the player who comes to mind. It was to be his only season with Toro as city neighbours Juventus recognised his talent and bought him in the summer of 1991, only for the midfielder to be immediately sent out on loan to Internazionale for the 1991/92 season. He produced another solid season, playing 27 times and gaining valuable experience playing alongside Lothar Matthäus and Nicola Berti. In 1992, Baggio returned to the black and white half of Turin, where he was to compete for a starting place alongside new signings David Platt and Andreas Möller. Juventus, now hailing two Baggios in their starting XI, had a stellar season. Dino, particularly, was a revelation in central midfield. Not initially accepted by the fans due to his Torino past, he won over the sceptics with some fine performances, especially in the UEFA Cup. In six European appearances he scored five times, including three goals over the course of the two-legged final against Borussia Dortmund. With Roberto scoring twice, the Baggio boys annihilated the Germans 6-1, the highest ever aggregate scoreline in the final. Dino picked up the first winner’s medal of his career. The less famous Baggio was still largely unknown outside of the peninsula, especially in those pre-internet, pre-every-league-is-on-TV days. USA 94 would change all that. Having made his debut for the national team in 1991 under Arrigo Sacchi, Baggio had become a regular fixture in the Azzurri setup, however as the 1994 World Cup loomed, many felt he did not deserve a place in the squad. He was injured for portions of the 1993/94 campaign and couldn’t replicate his form of the previous season. Italy’s World Cup could almost be divided into two parts, each named after a Baggio, with each player claiming a section. The passing of time has dictated that Roberto carried Italy to the final from the start, but that isn’t true. The group stages firmly belonged to Dino as Roberto struggled to overcome an achilles injury. Who can forget the infamous scene against Norway when Sacchi decided to substitute the No. 10 when Gianluca Pagliuca was dismissed in the 19th minute? “He’s gone mad!” said Roberto in disbelief as he trudged off the pitch. The World Player of the Year was not performing, but Dino was, and Italy made it into the last 16. Just. Over the next six years, Parma saw the best of Baggio as he seamlessly blended into a team that already contained seasoned internationals such as Néstor Sensini, Tomas Brolin, Gianfranco Zola and Faustino Asprilla. Placed in the heart of Nevio Scala’s 5-3-2 formation, Baggio hit the ground running and played a pivotal role in what ultimately be the club’s finest season. 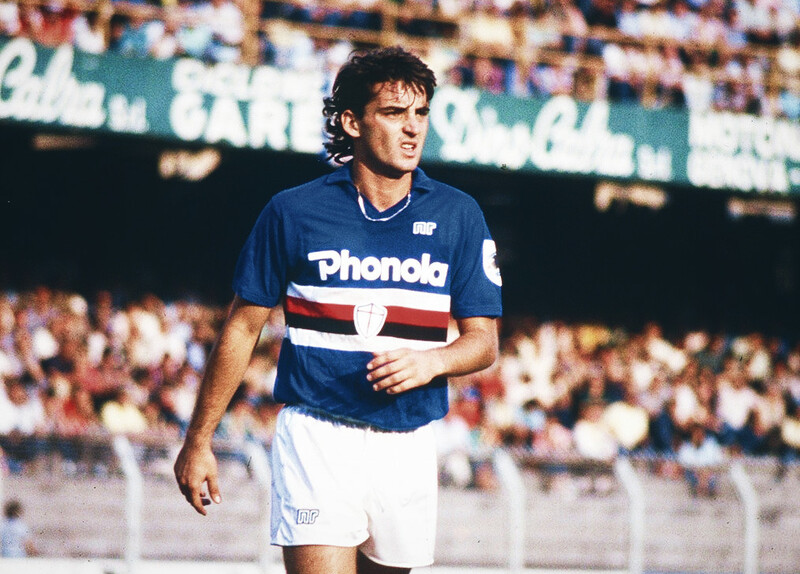 Dino was now regarded as one of the best central midfielders in Italy, excelling in every facet of his game. He would continue his excellent form over the next few seasons in Parma’s golden era. 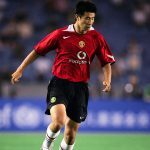 He helped the club qualify for the Champions League after they agonisingly missed out on a historic league title by a mere two points to Juventus in 1997. During Parma’s run to another UEFA Cup triumph in 1999, he made international headlines after being struck on the head with a knife thrown by a fan in the stands during a game against Wisła Kraków in Poland. Baggio played on for the remaining 10 minutes of the match but required five stitches after. He maintained that he was very fortunate to escape serious injury: “I turned my head a second before I was hit. If I hadn’t, I could have been struck in the face or the knife could have gone in my eye.” Parma would go on to overwhelm Marseille 3-0 in the final in Moscow, with Baggio picking up his third winner’s medal in the competition. Injuries were beginning to hamper the midfielder’s dynamism and his love affair with Parma ended in 2000, when he was sold to Lazio. He was used sparingly in Rome and found it difficult to hold down a first-team place in a squad that contained Juan Sebastián Verón, Diego Simeone and Dejan Stanković.